With Apple Card, we've completely rethought the credit card. Apple Card is designed to take advantage of the power of the iPhone. This means it can do things that no other credit card can do. You don't have to wait days, just sign up on your iPhone. You can start using it right away. 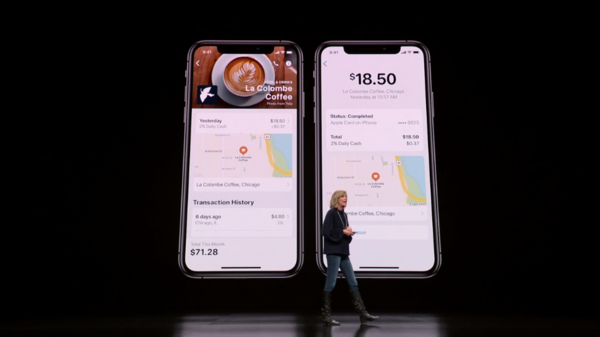 You can use it worldwide anywhere with Apple Pay, and it will be available across all your devices. It's always with you in your iPhone in the Wallet app. 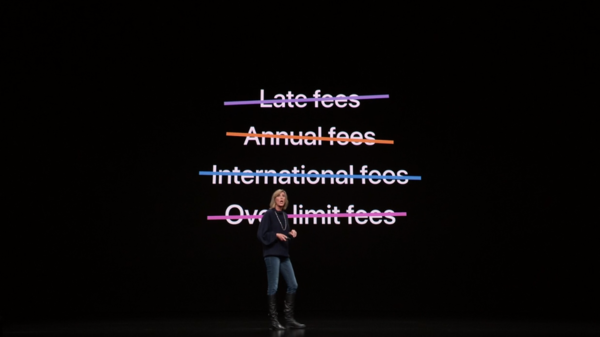 You can see everything you need to know about your Apple Card, how much you spent, where you spent, and when your payment is due. You can text us right from messages, everything from getting details on a transaction to changing address. It's as easy as messaging a friend. 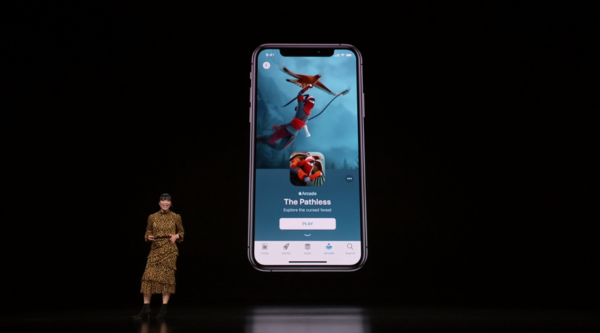 Apple is also making the statement easier to read using machine learning and Apple Maps. They organize and total purchases so you can see how much you spent and where you spent it, and track spending by category. Each category is represented by its own category and you can see trends week over week and month over month so you can see and change your spending. Rewards. Points: you're never sure how much they're worth or where you can use them. Every time you spend with Apple Card, you get cash back, and you get it back daily. It's my favorite feature, and we call it Daily Cash. When you're shopping for groceries, buying coffee, every day you spend, cash is added to your Apple Cash card. And it's cash, like real cash, so you can do anything with it. Use it to pay down your balance, send it to friends, or spend it. 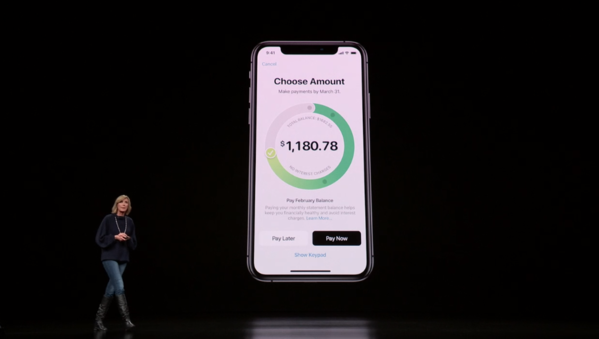 Every time you pay with your iPhone or Apple watch, you get 2% of the purchase in Apple Cash. 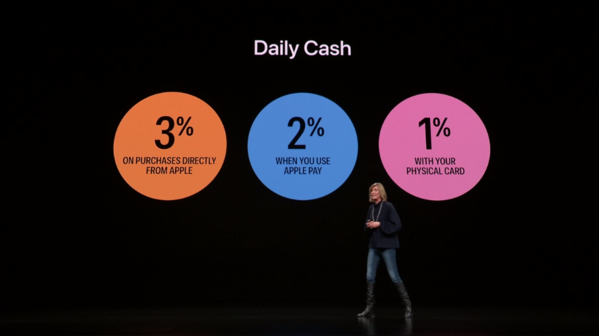 And for purchases made directly from Apple, you get 3% daily cash. The amount of daily cash you can receive is unlimited. No fees. no late fees, no international fees. If you miss a payment, no penalty fee. Lower interest rates. 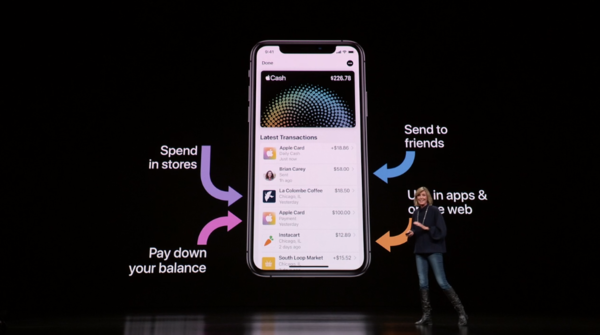 They're partnering with Goldman Sachs as the issuing bank for Apple Card. We're also excited to partner with mastercard. With mastercard's global payment network, Apple Card will be accepted all over the world. We designed Apple Card to set a new level of security and privacy for a credit card. One time virtual numbers for transactions, Spend tracking and purchase categorization happen on device, not at Apple servers. Apple doesn't know what you bought or where you bought it. And Goldman Sachs will never sell your transaction data. The video is of a robot machining a credit card out of metal. 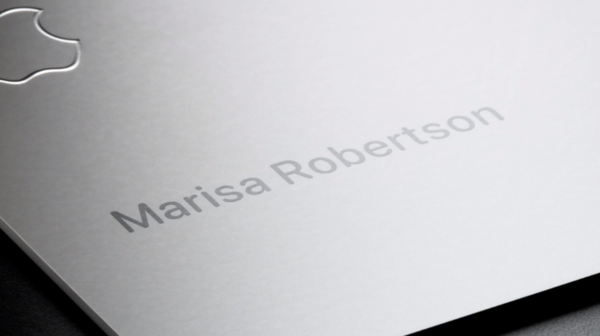 Laser etched with name and Apple Logo. The card is TITANIUM. "It's the most beautifully designed card ever." And it's more secure - it has no number, CVV, or signature. If you need that information, it's in the wallet app. Purchases made with the card give 1% daily cash. Tim is back out, to talk about the App Store. From day one, the App Store has been a safe place for users to discover and download apps. We review each app before it goes live, and we have a team of editors to create curated collections. It's no wonder the App Store is visited by over a half a billion people each week. The most popular category on the App Store is games. 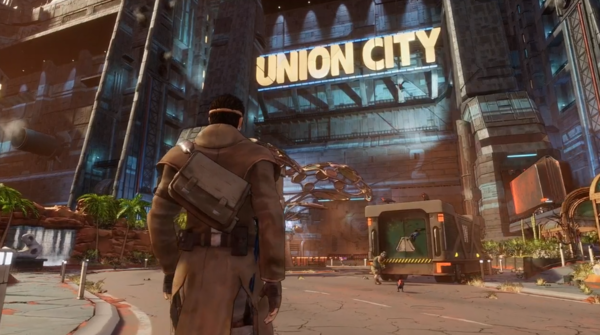 iOS is the largest gaming platform in the world. We want to make gaming even beter. Ann Thai, senior product marketing manager of the App Store is out to speak about games that become cultural phenomenons. She shows Angry Birds in parades, and Fortnite emotes by professional athletes. There are over 300,000 games on the App Store. 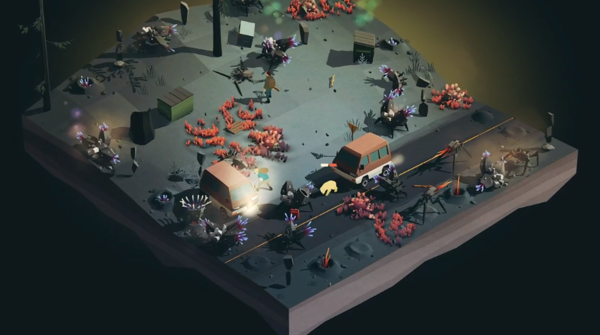 Free games are supported with ads or in-app purchases. 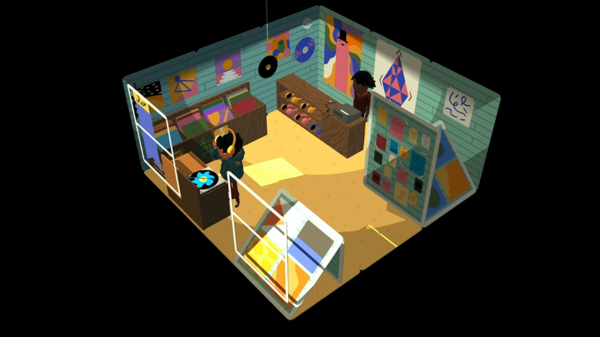 Paid games, customers pay up front for the whole experience, like Monument Valley 2. These paid games haven't been as successful as free. We think we've come up with a great new way to bring these games to more people than ever before. Working with game developers to create a service, called Arcade. With Apple Arcade, we've curated a collection of games and we're not just curating it, we're backing the development. Ann brings up videos with the developers. Fantasian, by the creator of Final Fantasy, for example. 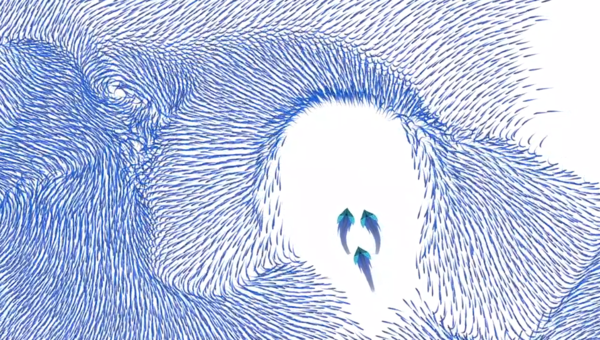 Lifelike, which uses swarm behavior as is game mechanic. Overland, where everytime you play, it's different. "It's almost like a miracle for developers"
With a single subscription, you'll have access to over 100+ games any time. Your subscription will allow you to download and pay any Apple Arcade game from the App Store. With full access to the collection, you'll have the freedom to try whatever you want whenever you want, across iPhone, iPad, and AppleTV. Games will pickup where you left off when you switch devices. All games will work offline. All content, future content will be included. no additional purchases will be needed. Parents can manage it through Screentime. Apple Arcade games cannot collect any information about you, nor track you without your consent. And your family will be able to enjoy it for no additional charge. Thai now shows a sneak peek of games coming to Apple Arcade. 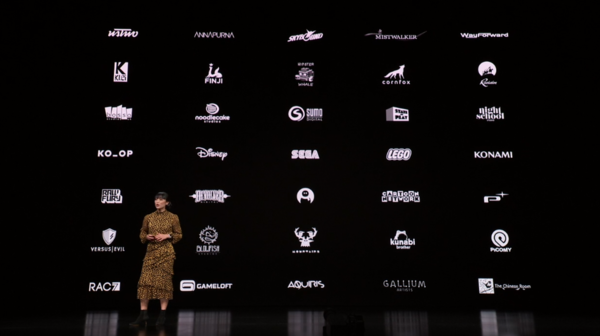 Apple Arcade will be available this fall, in 150+ countries around the world. More information will come soon. Tim Cook comes back out. "Now let's talk about... TV"
For over a decade, we've been bringing you innovative TV experiences, from the first show you could play on an iPod to the Apple TV 4K. TV at its best enriches our lives, and we can share it with the people we love. 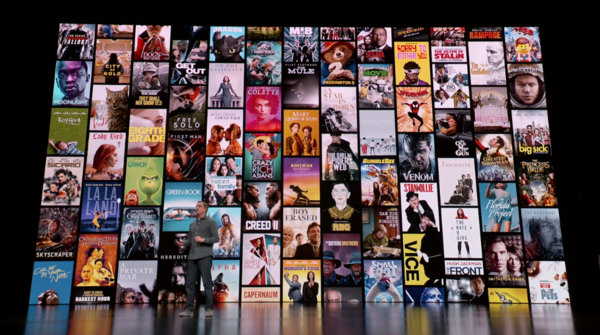 Tim is talking about how the TV App helps people with the choice paralysis, how it's easier to find your favorite shows in one place on all your screens, so you can spend less time looking and more time enjoying. "Today we're excited to show you an all new TV app" Tim invites up Peter Stern, VP of TV services. TV has all the movies from iTunes. If you subscribe to traditional TV like spectrum cable, or online tv like PS Vue, these are now in the new TV app. But sometimes these megabundles are too much. with tv channels. on demand, ad-free, for the entire family. HBO, Showtime, EPIX, Starz, CBS all access, and more around the world. Whether you get your TV from Prime Video, Hulu, movies from itunes, tv from cable or tv channels, it's all in one place.